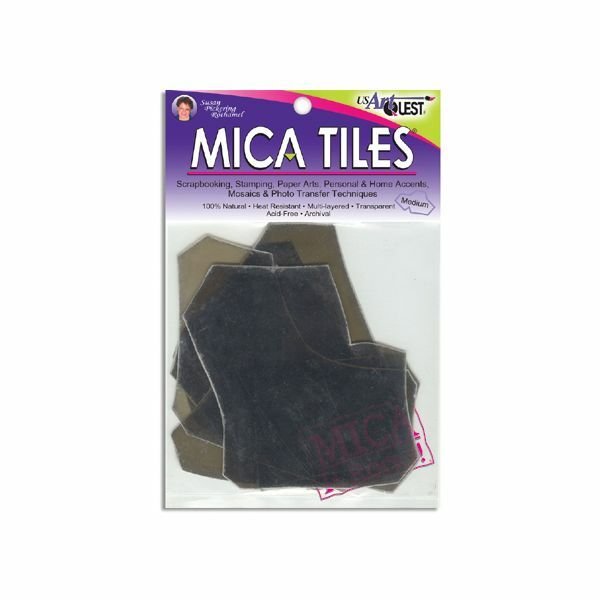 Mica Tile Medium Pieces 1oz - US ART QUEST-Mica Tiles are 100% natural, heat resistant, multi-layered, transparent, acid-free, and archival safe. Each tile has their own distinctive variations and markings, are remarkably versatile creative elements, adds organic character, and color and texture to every project! Can be used for stamping, scrapbooking, cards, ornaments, collage, jewelry making, photo transfers, altered art, and much more! 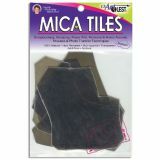 Simply tear, cut with scissors, or diecut then adhere them to virtually any surface. Size: 5 x 6. Approximate size: 1 oz.